Flaveur Breads bakes a wide range of Artisan sourdough breads daily, including the Metro Rye and Multigrain Sourdough and the popular Maunganui Gold. This is sourdough bread at its freshest and tastiest. 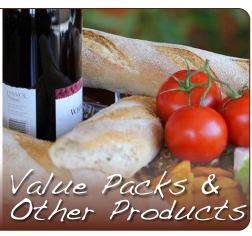 We provide sourdough bread delivery throughout New Zealand. Our latest addition to the Gold Sourdough range. Made with organic ingredients except for the stout .. Simply our Mt Maunganui Gold Sourdough made into 150gm rolls. These may look small but they take som..
Crusty, Chewy, Delicious. This traditional sourdough is 24 hour proved to produce a full flavoured a..
Full of digestible grains and seeds! We make sure the whole grains are enhanced and bio-available! ..
An incredible bread made with a blend of organic white and wholemeal flours. 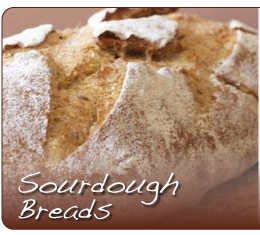 Versatile and a great b..
Another of our 24 hour proved 100% organic, yeast free sourdoughs. Bread how it is meant to be. It s..
Our raisin bread is the fruit version of the sourdough. It is naturally sweet with no added su.. This is our winter bread designed specifically to accompany hearty soups and meals. 24 hour pro..
Wheat-free. A wholesome bread made only with wholegrain rye and wholegrain spelt. Sp..
Wheat-free, yeast-free, 100% Spelt Sourdough. 24 hour proved this wholesome tasty loaf meets many di..
Spelt is the ancient grain that modern wheats were derived from. It has a natural nutty flavour that..
Harness the health benefits of sprouted grains & natural sourdough all in the same bread. This ..
A guilt-free white bread option. Awesome crust and a soft crumb. 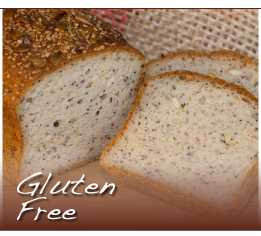 Unbleached organic flour, ye..
We are proud of this new addition to our gluten free bread range. The Gluten Free Blonde is our vers..